I've written about ball-end hex keys before. They are much easier to use when clearance is an issue. They fit into sockets at an angle. 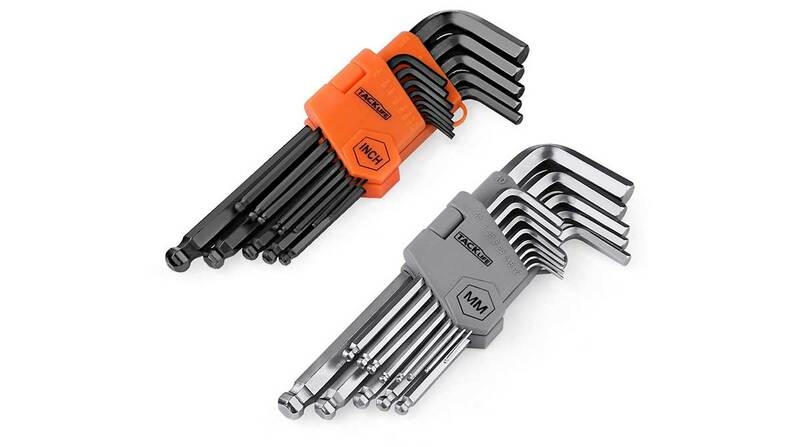 Tacklife has a great deal on this dual set of metric and US hex keys'. Use code P6GBSRIX for a big discount.